Dive in and experience the diversity of India! On Saturday and Sunday, 22nd and 23rd September 2018, we shall bring India to Vienna. Away from kitsch and commerce, we wish to give attention to those niches that normally do not stand in the spotlight. For India is colourful, unique and surprising – just like the program of the Seva India Festival. The Seva India Festival is designed as the kick-off towards the establishment of a dynamic and up-to-date Indo-Austrian platform offering cultural exchange at eye level. Therefore we consciously chose the Co-Learning Center «Markhof» as our location for the Seva India Festival. A learning center offers a suitable environment for cooperation and mutual learning from one another. A three story building on a surface of over 2.000 m² offers appropriate space for the intercultural dialogue between Austria and India – at least for a weekend. 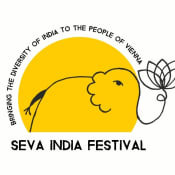 The Seva India Festival is our prototype for the joint vision of a «Seva India House» in Vienna. At the Seva India Festival 100 most interesting personalities will offer their unique insight and share their knowledge with other people interested in India. Presale-tickets (discount up to 50%) available while stock lasts! This project ended successfully on 21/6/2018 12:00! Finally experience India in Vienna! Get inspired for 2 whole days and join as many workshops as you like! Presale tickets 18 € now, instead of regular price 36 € later. 2-day ticket (see above) + 1 indian typical steel box filled with organic vegetarian homemade food (only on Saturday). Dabba is your souvenir. Now in presale 38 €, instead of regular price 60 € later. If you are participating at the Seva India Festival with specific contribution, your entrance to the entire weekend program is free. 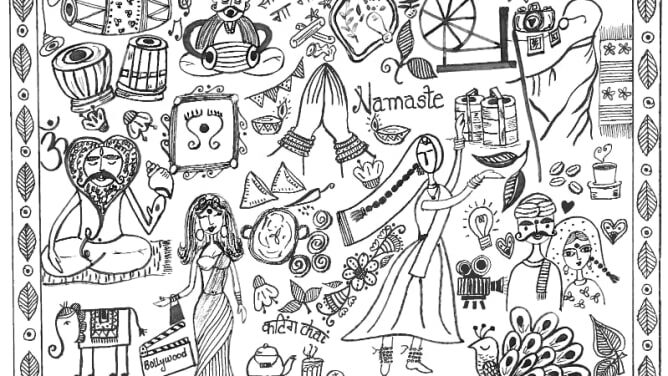 There is an “Ambassadors' Package“ which consists of Dabba, lunch and the official T-Shirt printed "Ambassador of India" (fair-trade, organic cotton & printed in Austria). Now in presale 38 €, regular price 60 € later. Dabbawala package (see above) for two people + children. Now in presale 70 €, instead of regular price 110 € later. Our non-profit association SEVA INDIA (Association for Promoting the Dialogue between Europe and India) brings the (Indian) concept of 'SEVA' (Sanskrit for 'selfless service') to a wider audience.